From depths of the seemingly bottomless pit of absurdity, insanity, and strife that was 2017 came forth madness, hardship, struggle, social upheavals, and triumphs. In other words, it was quite a year, to put it lightly. 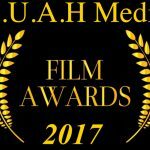 Even with as punishing a socio-political year and the horrific revelations reported on within the corridors of power in the Media industry the Films themselves again stood strong to bring forth works of unique resonating power. 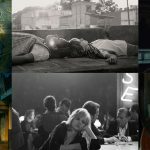 The films released in 2017 reflected, examined, and were able to comment in striking varying ways the state of things from many diverse point-of-views. It was hard to nail down the right final order of this list for me because of the sheer quality of films I got to see. 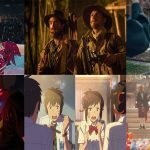 From the Sundance Film Festival to at-home-streaming here are my picks in order of preference for the finest that cinema had to offer in the long haul that was 2017. The Beguiled: Sofia Coppola’s modern update on an Eastwood/Siegel Collaboration is a tense study of repressed emotions and relationship dynamics that never ceases to subvert your expectations. Good Time: The Safdie Brothers craft a down and dirty New York small crime thriller with Robert Pattison giving his all in his very best role to date. Columbus: Video essayist’s Kogonada debut feature is an architect’s dream showing how the aesthetics of the places we live in effect our moods and life outlooks. First They Killed My Father: Angelina Jolie’s very best directorial work to date depicts how insidious political and military indoctrination is on a young mind in a totalitarian regime. Nocturama: Daring and ballsy doesn’t even start to describe Bertrand Bonello’s a-matter-of-fact depiction of a group of diverse young people planning to set up bombs in the middle of Paris, but what the film has to say about the kinds of people who commit these acts of terror and the state’s response to them may take more getting used to. World of Tomorrow Episode Two: The Burden of Other People’s Thoughts: Couldn’t quite fit Don Hertzfeld’s joyously morbid animated short into the countdown but this is as wonderful a followup to an already excellent original work as has been in recent memory. One of the funniest movies of 2017 is also one of the best directorial debuts from last year with an LA romp through the utter shamelessness of the vapid and shallow Tinseltown socialites. Think Brett Easton Ellis by way of Whit Stillman in showing us utterly vapid shallow characters and their complete lack of self-awareness as they go through daily goings and relationships. Morgan is able to weave between these shameless characters while taking the comedy and situations to places you can’t believe but will laugh along anyway with and at these characters in equal parts. Cone’s followup to the under-seen dramedy Henry Gamble’s Birthday Party is another charming natural comedy-drama about the different kinds of relationships, from forging them to understanding what we want out of these connections.The film centers on Cyd Loughlin (Jessie Pinnick) a 16-year-old girl visiting her novelist aunt Miranda (Rebecca Spence) in Chicago, the two attempt to bond even though Cyd isn’t much of a reader but upon meeting Katie (Malic White) finds a kindred spirit and perhaps more. The easy-going nature of the film helps to effortlessly guide you along the story beats, no grand catharsis is had just subtle hints of possible change by the end. Hayao Miyazaki crossed with fast food nation is a strange brew coming together to work in this corporate satire of the food production industry with great emotional weight. 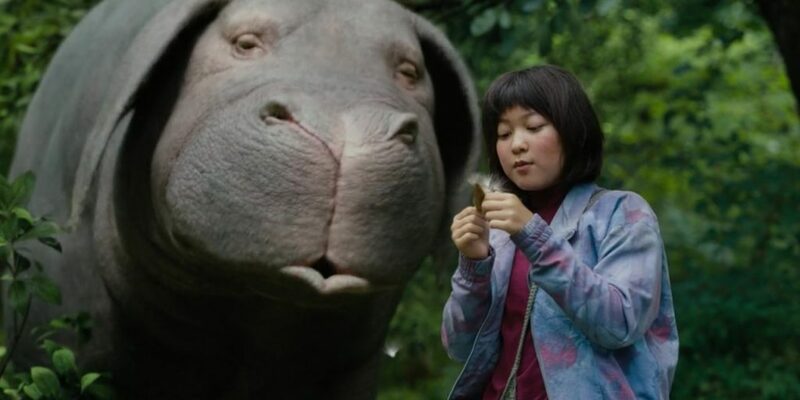 Joon-ho’s trademark drastic tonal shifts serve him well here as a child bonding with her beloved pet story shifts to a bleak satire on mass animal farming for our endlessly consumption-driven world. A movie that doesn’t talk down to its audience by being preachy in its themes (the animal rights activates are portrayed as self-righteous idiots), but allows for its message to come naturally as an organic and moving part of the story. As penetrating and timely a social satire as has ever been made, Peele’s debut feature horror/comedy film delivers in both departments in equal doses. Daniel Kaluuya’s Chris goes to visit his white girlfriend’s (Allison Williams) affluent parents for the weekend he begins to notice strange things around him and the people interacting with him. He was expecting a level of awkwardness and micro-aggressions but this is something else entirely, and it’s far worse than he ever could’ve imagined. 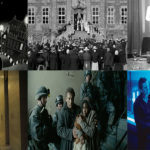 The filmmakers were able to tap into the cultural zeitgeist in a way few films today have, reflecting just what is simmering just beneath our perceptions. This examination of faux masculine bravado is also a gorgeously shot depiction of youthful angst, sexual awakening, and allowing yourself an identity. Hittman makes you feel as if you’re a fly-on-the-wall to Frankie (Harris Dickinson) as he spends days hanging out on the Beach with his friends near Coney Island and nights online finding older men online to have sexual encounters with. 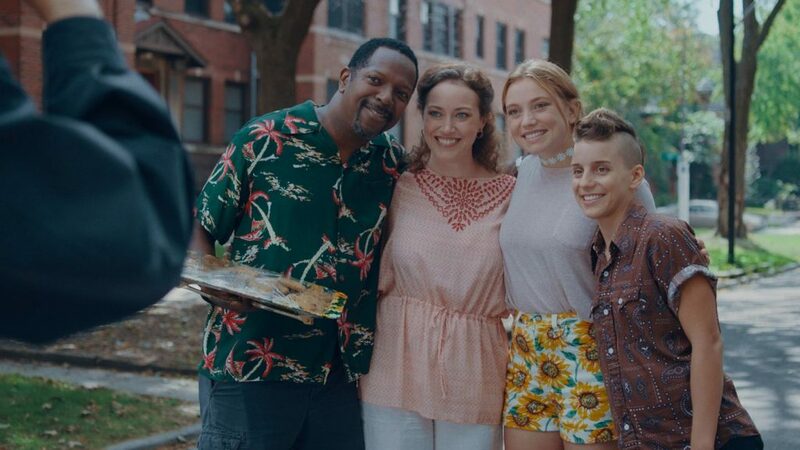 The filmmakers wisely choosing to not play it safe with the closeted teen needing to be honest with themselves storyline, providing a fresh take on the well-worn story. 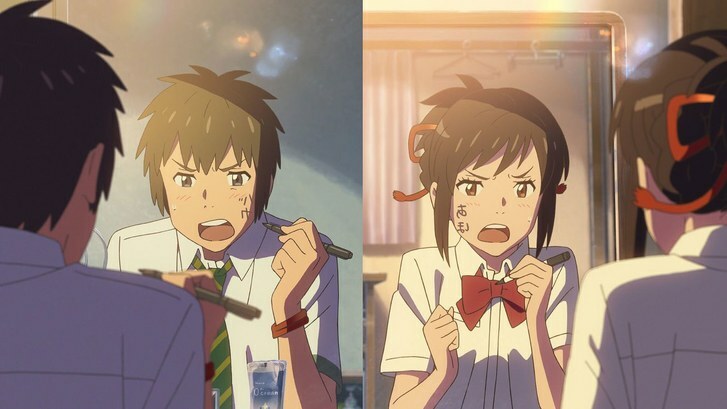 Our first Anime on the countdown is the wonderfully vibrant drawn teenage body-swap romantic comedy-drama with a more sci-fi twist beyond the body-swapping aspect of it. Shinkai is able to start things off with a hilarious teenage body-swap comedy but ends with profound musings on seemingly cosmic human connections. While not making much sense on a logical level instead uses emotional logic to get its message across. Well, onto the intentionally uncomfortable sits in the countdown comes the far-too-relevant recreation of the 1968 race riots in Detroit and in particular the Algiers Hotel incident involving black citizens caught in the middle of the chaos in the city, the overtaxed Detroit police, and overbearing national guard. Bigelow doesn’t flinch in showing the horrific event in painstaking detail, depicting the disastrous convergence of racism, toxic masculinity, and institutions held dangerously unaccountable. A tough watch but one that is unshakable in our world today. One of the most discussed and derided movies of 2017 is also the most exhilarating and daring of Aronofsky’s career, which is saying quite a bit. An insane vanity passion project, a modern metaphorical retelling of Bible stories, a moral parable about the environment, take your pick. In any case, any film that promotes this much fiery discussion deserves some credit. 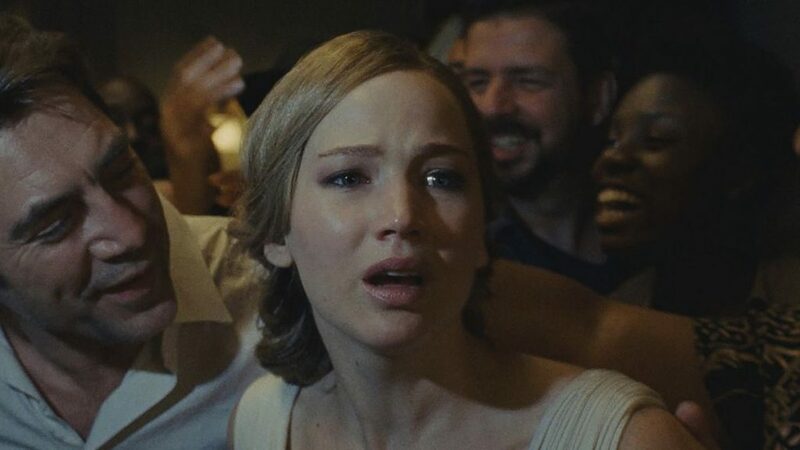 Jennifer Lawrence’s dedicated role is also notable for her having to maintain her performance with the camera in close-up on her for the nearly the entire running time, the film hinges on us following her through thick and thin as bonkers as this thing gets. A fever dream put on-screen that could only come from the mind of a filmmaker as off-kilter and against-the-grain as Aronofsky. And adding another one to the uncomfortable sits category comes an adaption of a stage play of child abuse and coming-to-grips with that horrible past. 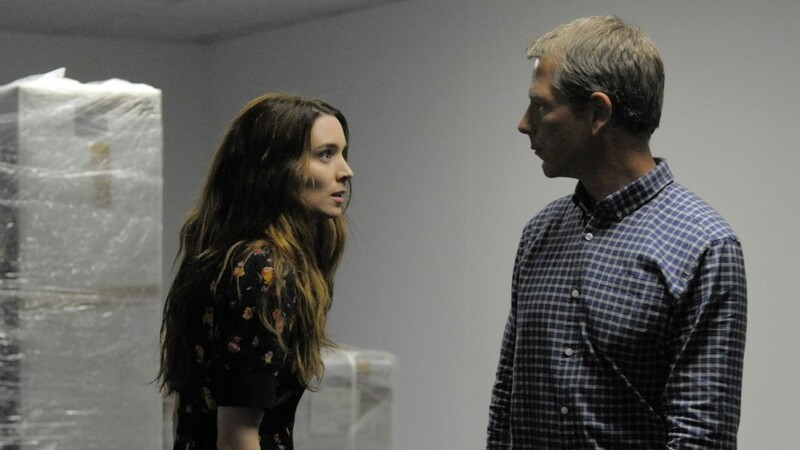 Rooney Mara plays the titular character who finally is able to find and confront Ben Mendelsohn’s Ray who preyed on and molested her as a child years ago. Now released from prison she wants to have a few words with him. Serious stuff to be sure, but the filmmakers are able to carefully handle the subject while not playing it safe in the least. 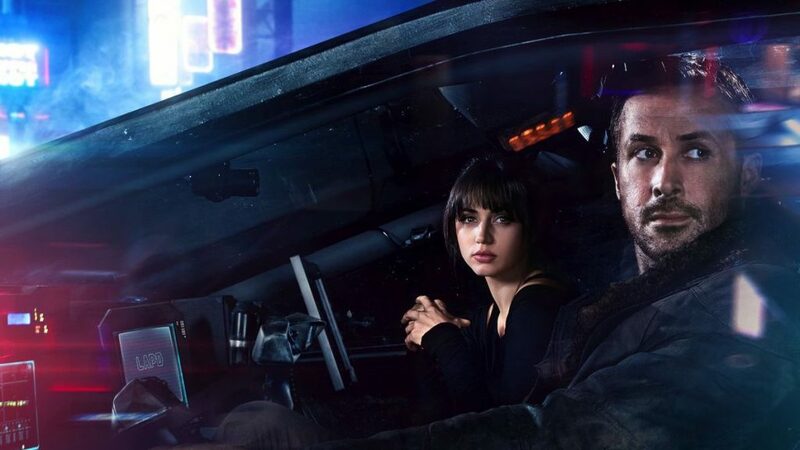 Mendelsohn and Mara play-off one another perfectly as Ray wants to apologize and move-on while Una angrily refuses to let that happen. A fiery acting duet proceeds that bring to light the nature of confronting the past head on, and of past trauma that continually resurfaces in self-destructive ways. 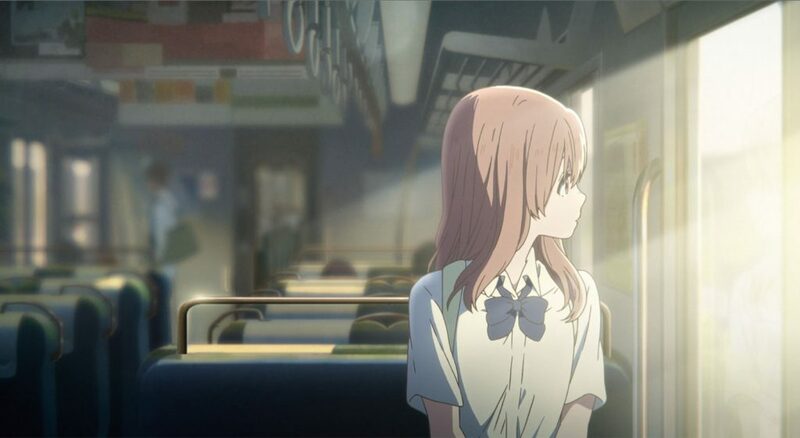 Another anime entry set around High-school provides an introspective teenage melodrama that examines growing-up with the struggles, awkwardness, epiphanies, and empathy. Dealing with heavy concepts of bullying, self-imposed isolation, worldly perspectives, and psychological turmoil this is an animated work that handles its sensitive subject material in a mature and careful manner. Another reminder that some animated works (anime especially) are not just for the kiddies. Baker has always been a very consistently great filmmaker in his eclectic career focusing on the fringes of American society, utilizing different cinematic techniques with each new project. His latest entry shot on 35mm being his best thus far, again depicting people that are often glanced over in popular media. Centering on a run-down motel in Orlando, FL run by Willem Dafoe’s Bobby we follow a group of precocious kids and their daily routines of getting into all kinds of mischief. The movie aims to show us how a great many in this country live every day through the eyes of a carefree child, allowing an audience understand (without judging) this paycheck-to-paycheck living situation. Kristen Stewart finally leads a supernatural melodrama that is worth talking about. Kidding aside, she is great as Maureen, a personal shopper for a Paris socialite who also moonlights as a medium hoping to contact her recently departed brother. She goes to only the best high-end Fashion houses to buy and do fittings for cloths conveying a distinct feeling of supreme dissatisfaction with the work. She yearns for some sort of connection alive or dead, but the answers she gets may not be at all what she bargained for. A horror movie where the true terror comes introspectively from the unshakable and universial feeling of being unfulfilled or incomplete. The best kind of ESPN 30 for 30 documentaries are the so-called “Sympathy-for-the-Devil” takes which explain the appeal of infamous sports villains. While there has been a 30 for 30 done on the Nancy Kerrigan assault in 1994, The Price of Gold, depicting disgraced Olympic skater Tonya Harding as a willing perpetrator in busting Kerrigan’s knee, Margot Robbie helped to produce a decidedly different take on the whole affair. Gillespie’s film presents Harding as struggling through cycles of physical and emotional abuse in her life beginning with her mother LaVona (a pitch-perfect Allison Janney) to bumbling husband Jeff (a hilarious and menacing Sebastian Stan) and beat the odds to become a world-class skater. 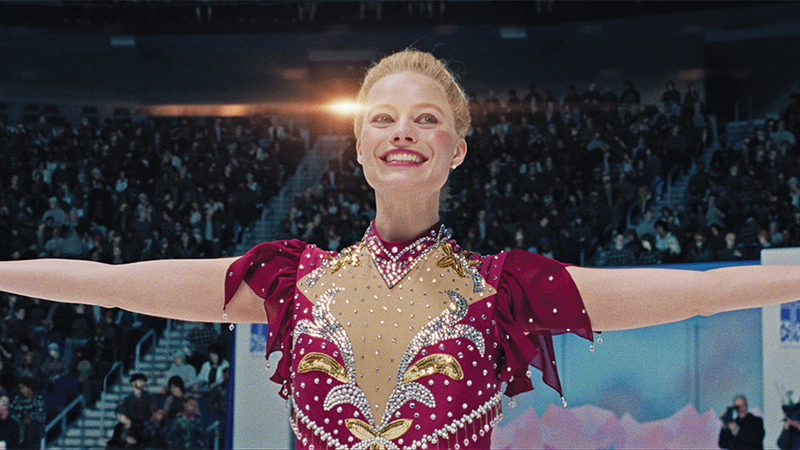 Margot Robbie shines in the title role portraying Tonya Harding as a dedicated, driven, abrasive, and ultimately a rather tragic sports figure. Now while you probably shouldn’t take the film as the absolute truth, as they explain in the beginning title cards, it can’t be denied that the figure skater’s story has a scope of Shakespearian self-destruction. The filmmakers merely decided that her story was one of empathy, not jest or ridicule. In this naturalistic familial drama from Georgia, Manana (Ia Shugliashvili) struggles to redefine herself after deciding to suddenly leave her emotionally stunted marriage and overbearing in-laws. She finds an apartment on her own and tries to separate herself from her former life, but she finds that is more difficult than she realized in a traditionally strict patriarchal society. Though the language, customs, and manners are regionally based the exploration of remaining your own independent self while trying to fit in among your peers and close family has universal appeal. Rare is the sequel you didn’t think was necessary but was awe despite any misgivings going in. Villeneuve’s follow-up to the original Ridley Scott tech-noir masterpiece is a dazzling to look at technical feat, shot by the great Roger Deakins, but is also a somber journey through this dystopian future of artificial humans, devious all-encompassing corporations, paranoia, and maintaining order. This is also the rare sequel that expands on the mythos and world building that the original set-up, showing us that this future still has things to say about our times even if we haven’t gotten around to flying cars yet. The solo directing debut for indie darling Greta Gerwig is also the single funniest, heartfelt, and truthful movie about the follies of youth, parenthood, and discovering yourself through many trials and errors. 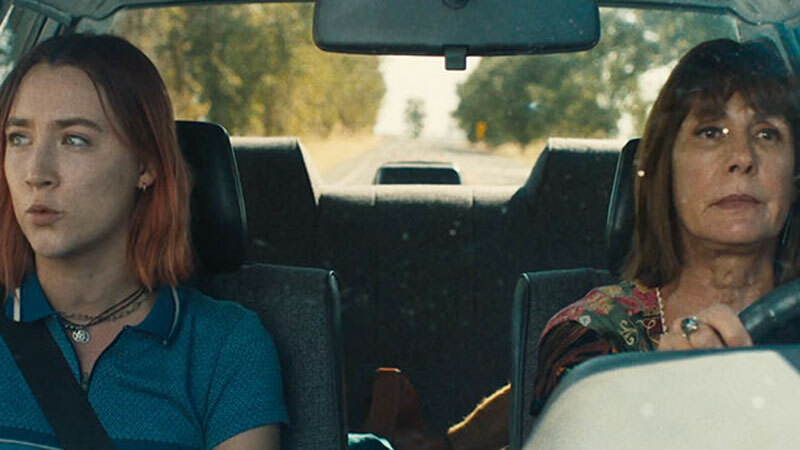 Saoirse Ronan and Laurie Metcalf are as convincing and resonating a Daughter/Mother pair that has ever been portrayed on film.Though the story is centered on Christine ‘Lady Bird’, Marion comes across as the rock of the family having to put up the antics and angst of a teenager while being the breadwinner of the home. Gerwig’s comedic timing translate into her directing and editing her breakthrough personal project. The first thing Lowry wants you to notice about his wonderous mysterious little film here is the frame that will be used, it’s smaller than the academy ratio 1.38:1 much more square with rounded edges like an old-timey photo. 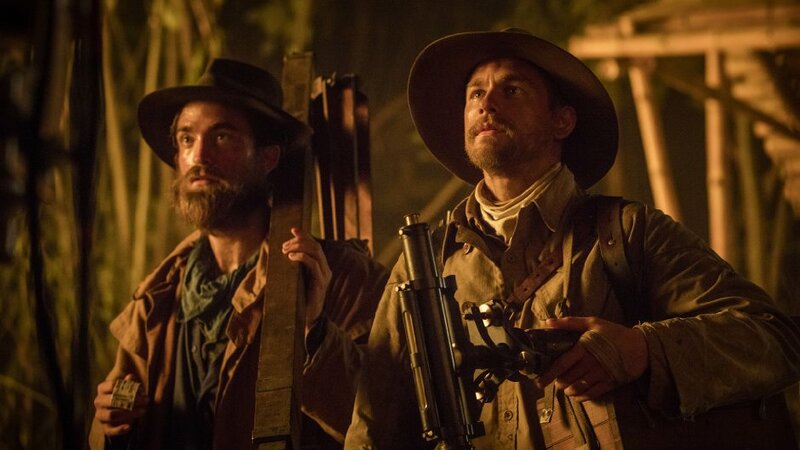 It connects the story as it unfolds on-screen to the past as if we are seeing the events on-screen through a vintage hand-crank projector. Additionally, it also depicts how confined our own worldview can be, what is just beyond our periphery vision? Mis-marketed as a sort of modern hipster Ghost successor, instead check this one out for the ideas of legacy, the nature of time and memory, and watching Rooney Mara eating a whole pie for the first time! Rooney Mara certainly tackled some heavy material in her work last year. Taking his unique cinematic style to the Austin music festival scene, Malick finds a different way to depict the highs and the lows that a group of musicians goes through as they muse poetically about what they want out of life. The cinematic maestro’s contemporary trilogy after the monumental success his Tree of Life hasn’t been received well, to say the least. Hopefully, someday there will be a major reevaluation of these movies as poetic experiments of the medium. If not then I’m content with appreciating them as they are in the here and now. The pursuit of Knowledge, Glory, and/or Adventure. The great explorers of the late 19th and 20th century searched far and wide for combinations of these goals, some succeeded but most didn’t. Percival Fawcett was one of those explorers, venturing into the Amazon Jungle first on a simple survey mission then becomes obsessed returning to the jungle searching for a lost civilization unknown to historians at the time. Gray puts on a killer Werner Herzog impression exemplifying the self-destructive power of obsession and the intrinsic human nature of exploration. And now my slot for a hidden gem of a movie literally no else is talking about and/or saw. The many stages of grief were embedded in the themes of many movies of 2016 but mostly on a smaller personal scale. Ozon’s powerful criminally underseen work here aims to convey the sheer magnitude of loss felt in the aftermath of a bloody conflict the scale of WWI, both on a national and personal level. German Paula Beer’s Anna is grieving over the death of her fiancé Frantz when she spies a man named Adrien placing flowers on Frantz’s gravestone. As she finds out more about this mysterious Adrien the more it leads her to revelations on her own personal grief and the loss of life on both sides of the immense bloodshed. The French auteur portrays in stunning Black and White photography the toll war takes on its non-combatants and the sheer mental cost of moving on in the aftermath. A thing that happens with watching as many movies as I do is that certain expectations are built-in going with certain genres. 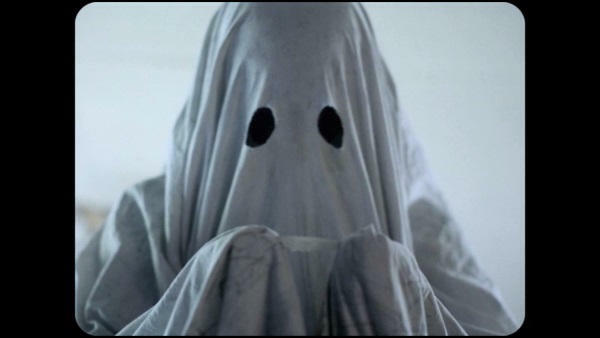 Horror has to unsettle and terrify, Comedy has to make me laugh, Drama has to feel in some way truthful to life etc. 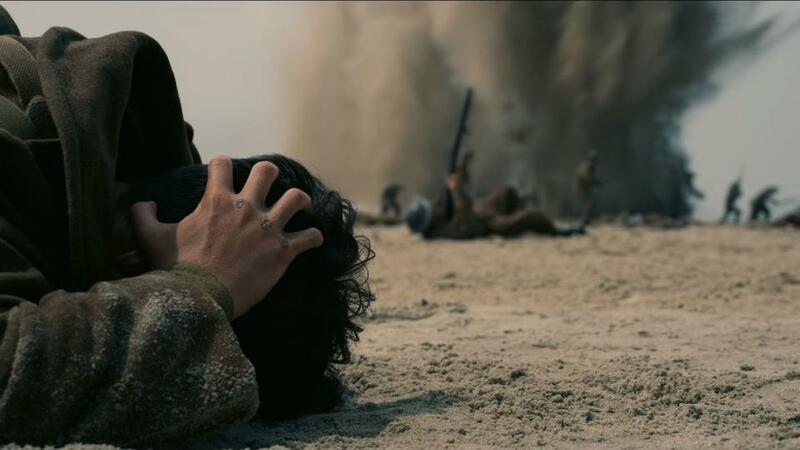 War movies, at least the best kind, have to convey, without any sort of gloss, what these soldiers experienced as it happened to them and Nolan rendered that very thing as few filmmakers have been able to before. Portraying and cross-cutting between multiple perspectives from Land, Sea, and Air of the evacuation of the Allied army at Dunkirk harbor during WWII. The auteur filmmaker continues to leave his unique stamp on various genres for the better of cinema. It has been stated before about the Italian filmmaker but has to be said again Guadagnino finds ways to entice not just sight and sound but all the five senses in his work. Taking us back to 1983 and one of those Summer’s that you hope will last forever, Elio (Timothée Chalamet) spends his time in Italy writing piano music and having flings with Italian girls until Oliver (Armie Hammer) a Graduate Student of his fathers comes to help with research for the summer. After a few flirty/abrasive interactions the two begin to realize that there might be something between them, something that might be worth exploring further. The chemistry between them is palpable depicting as intense a romance on-screen as any in recent memory, they adore each other. Can it last? Should it last? It doesn’t matter to the two of them in the moments they share, and that is perhaps the most important lesson the two could teach us. If this is indeed acting legend Daniel Day-Lewis’ swan song he has a helluva note to end his remarkable career on. Take a bow, sir. 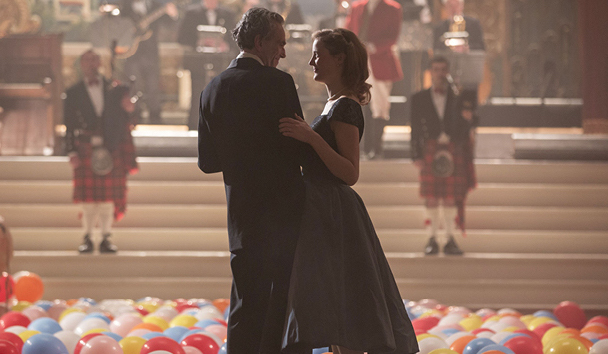 Paul Thomas Anderson’s twisting story of coupling power dynamics, the psychosis of the creative spirit, and vibrant 1950’s fashion is an absolute luscious visual treat for the eyes. The film succeeds both as an acting showcase and parable on cultivating relationships between two very independently spirited and thinking people trying to find ways to depend on one another. The Greek filmmaking auteur makes his mark on this list with the single most spine-chillingly Kubrickian film of 2017 about family bonds and skewed senses of morality that bind and ensnare us. It is unmistakably in the vein of the Master filmmaker from the eerily center-framed photography, impossibly smooth tracking camera, using production design to influence the framing of the shots, peering behind the curtain of culturally valued institutions, and ratcheting up the tension with simple gestures and words. I tell you somewhere Stanley is grinning ear to ear and that is just about as high praise for a film I can give. A shared history. We all share this not-so-distant sordid past that is inexorably tied to brutality, oppression, subjugation, land, and bloodshed. One that continues and informs our current times. Controlling the narrative of the dark complicated history of our nation has gotten ever more heavily debated and politicized recently with it becoming clear that a complete history is necessary in order for any sort of repairing of chronic societal issues to begin. 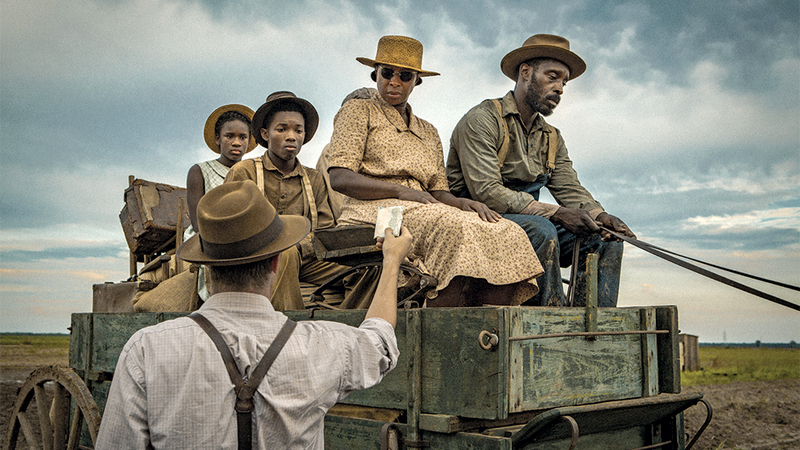 Dee Rees’ epic empirically shows us this difficult process of empathy and reconciliation in two sons returning from war to fight another conflict that bears the weight of their family’s pasts and by extension the nation itself. Breaking down the racial divides and revealing the evil of intolerance for exactly what it is. It’s America then, it’s America now battling the current surge of hate from the highest offices in the land. A vocal and powerful minority will never accept it but We the majority are still here and in this together. And there you have it, the very best that cinema of 2017 had to offer in my book. It was a long year to be sure and 2018 already is showing that it’ll be no easier. However, as the filmmakers, characters, and stories above emphatically portray we never really sign up for easy.